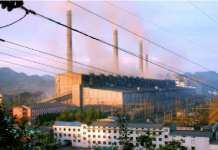 Domestically-manufactured products continue to gain market share over their Chinese counterparts in North Korea’s local markets as the authorities ramp up their emphasis on self-reliance. However, whether or not the policy to shift economic responsibility to domestic industry is sustainable under ongoing international sanctions remains to be seen. “In markets all over the country like in Hyesan and Sinuiju, domestically-manufactured products have become more popular than the Chinese-made ones because the quality is better and the prices are lower,” a source in North Pyongan Province told Daily NK on March 21. Domestic products that have gained in popularity are said to include snack foods, bread, shoes, socks, clothing, backpacks, school supplies, toys, and cosmetics. However, North Korean consumers still seem to prefer foreign-made electronic items like cell phones over the domestic alternatives, which are considered to be outdated in terms of features and quality. Kim first mentioned the “self-reliance-first” policy by name in his 2016 New Year’s address, stressing the need to ‘improve the lives of the people and the country’s economic development.’ Analysts believed that Kim was signalling a desire to move the country away from its economic overdependence on China. In his 2017 address, Kim boasted that domestic production of light-industry raw materials will lead to better quality products and a more diverse array of goods available in the markets. 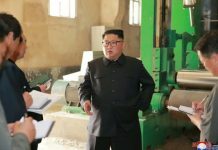 Experts believe that Kim Jong Un’s shifting attention towards “self-reliance-first” is evidence of the North’s belief that domestic manufacturing can sufficiently compensate for the country’s losses incurred by international sanctions. However, many analysts do not believe these sorts of policies alone are enough to completely make up for the foreign supplies of goods cut off by sanctions. 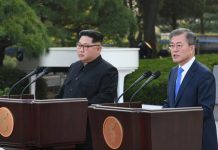 “Their policy of self-reliance may have some limited positive effects, but it cannot address the most fundamental problems with their economy,” said Cho Bong Hyun, a senior researcher at the IBK Economic Research Institute.